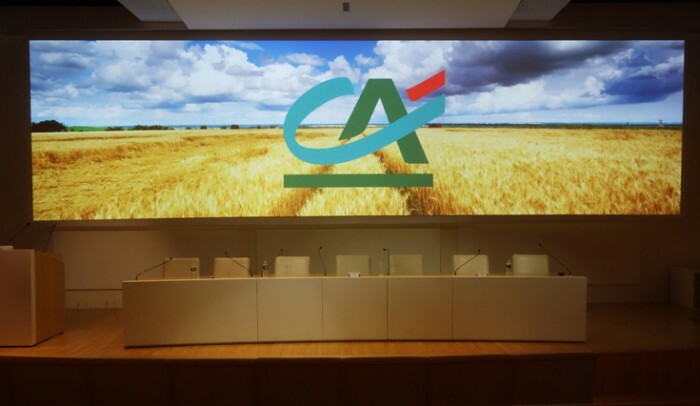 SARL VIDEOSONIC, a Chambly based integrator, has installed 3 x HIGHlite 740 WUXGA projectors in the main lecture theatre at the Head Quarters of Credit Agricole bank. 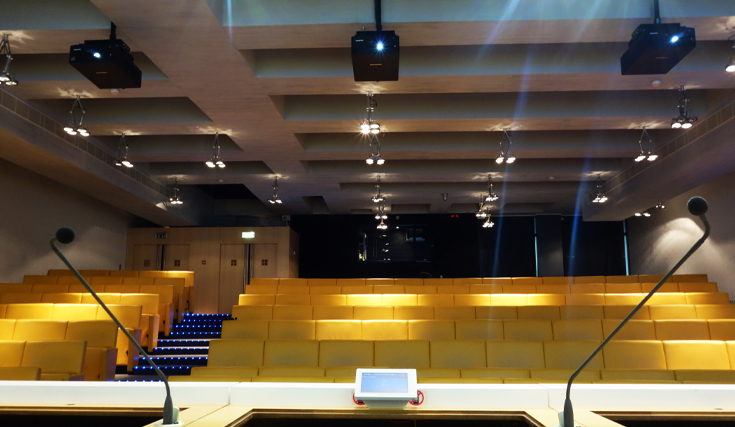 The company’s auditorium was fully refurbished and the AV requirement was to create a ‘wow factor’ with the projected image on the screen. The chosen projectors had to be compact and quiet enough not be distract visitors, while still being bright enough to work in an environment with moderate ambient light. The custom screen in the venue measures 11m x 3m, so the projectors built-in edge-blend and ColorMAX functionality was used to create one seamless image. 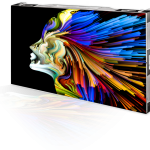 In total the screen area is 4687 x 1200 pixels and also allows the display of 3 seperate images where necessary. The HIGHlite 740’s were integrated with graphic processing from Analog Way and a Crestron control room, ensuring that the installation is as robst and future proof as possible. The built in HDBaseT connectivity also ensured that high-bandwidth video could be distributed to them over a long cable run without any signal loss. 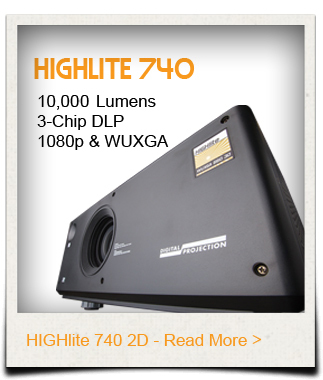 Why Digital Projection were chosen. 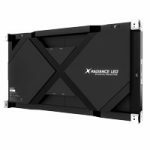 The requirement for compact, high brightness projectors, coupled with the need for built-in edge-blending, colour matching and black-level uplift meant that the 10,000 lumen HIGHlite 740 was the ideal choice.